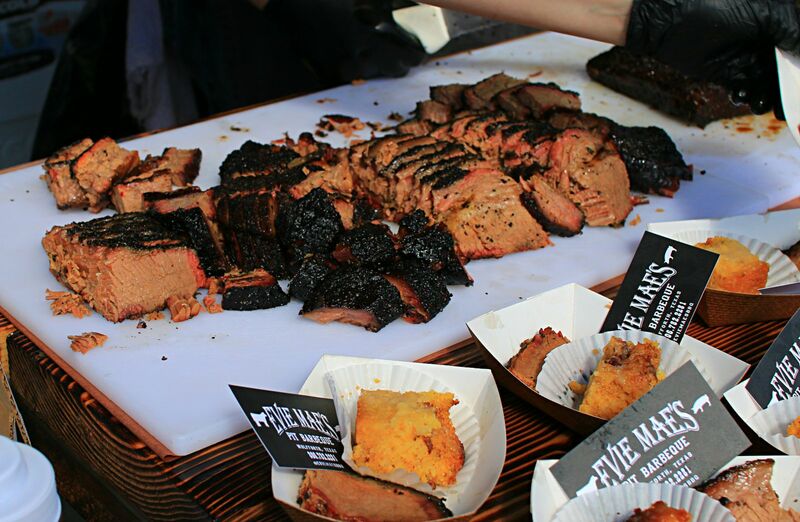 Twenty seven barbecue restaurants were set up handing out samples of smoked meats and sides. 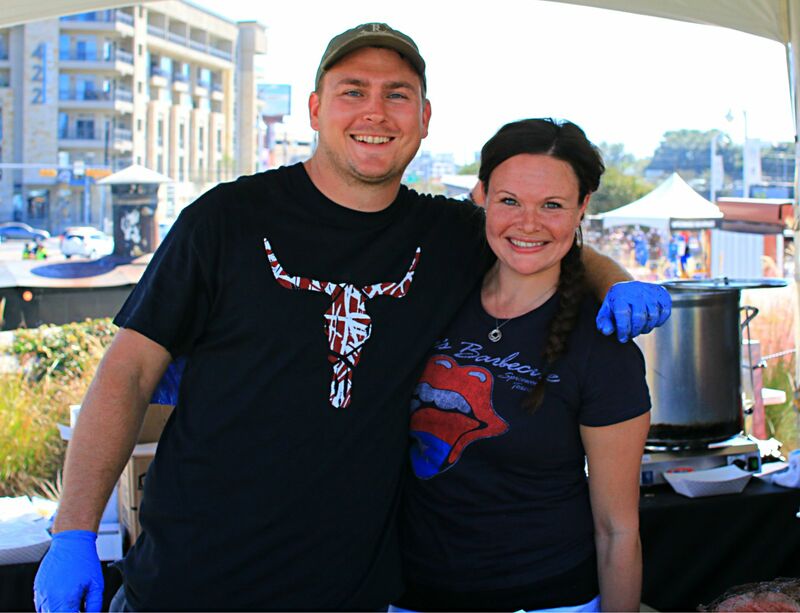 Twenty five of the 2013 TMBBQ top 50 list were in attendance along with special guests Evie Mae’s from Lubbock and The Beast from Paris, France. 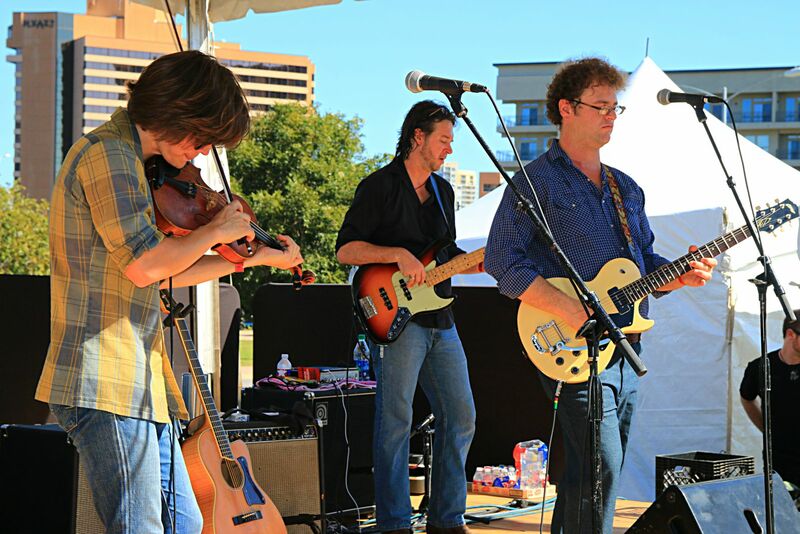 Evie Mae’s is almost certainly a lock for next year’s top 50 and they didn’t disappoint in their first time at the festival. 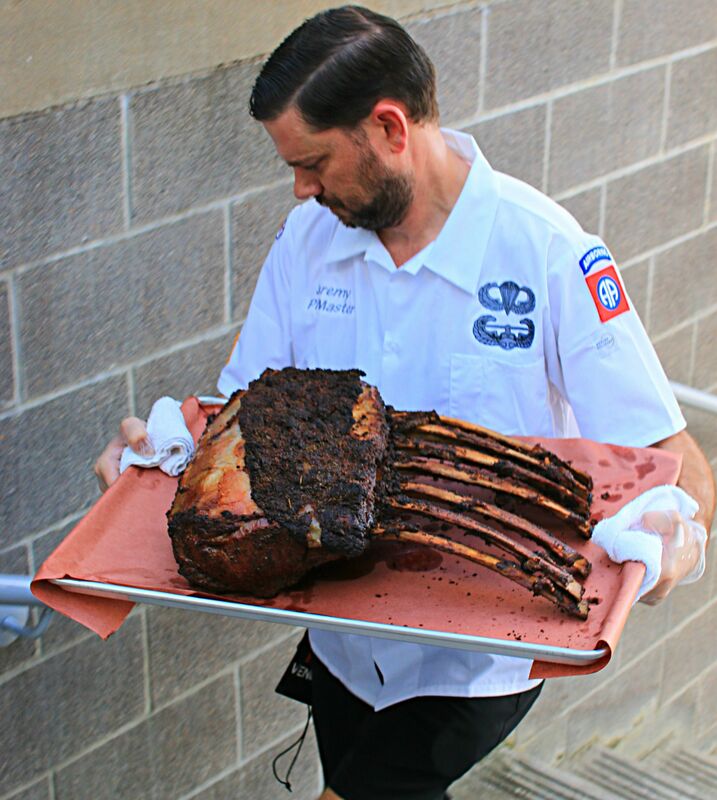 If you aren’t familiar with The Beast, Thomas Abramowicz and The Beast have plenty of connections to Texas barbecue. 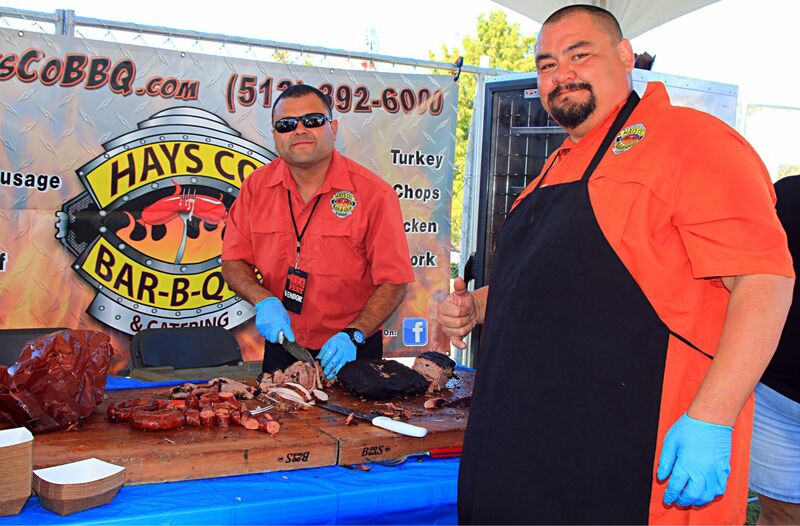 You can find a pre-opening article here and a review of the opened restaurant here . 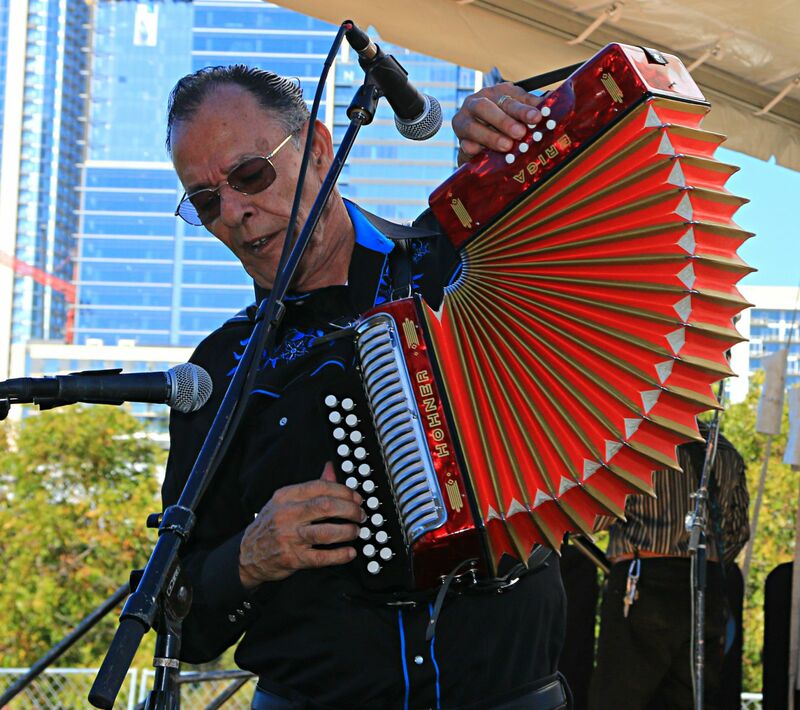 With all of the festivals I’ve attended this year you’d think I would have festival fatigue but each festival offers a slightly different take. 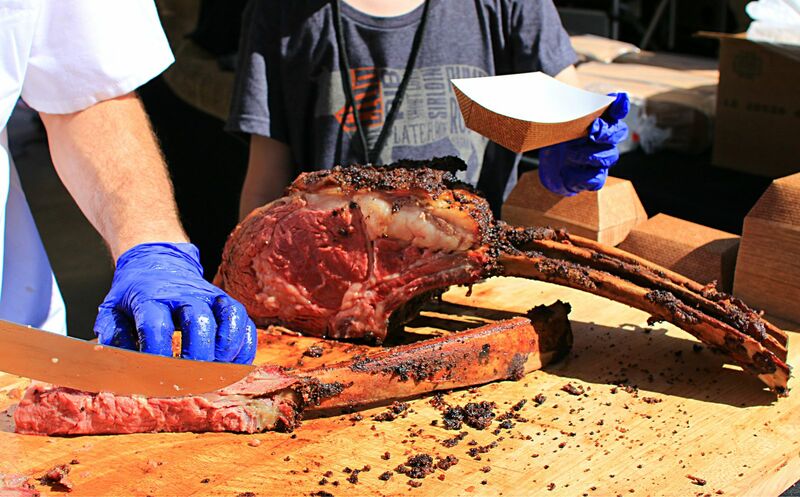 The TMBBQ event is the big daddy, with the most joints from the widest range and one of the few festivals of any kind to feature Franklin Barbecue. 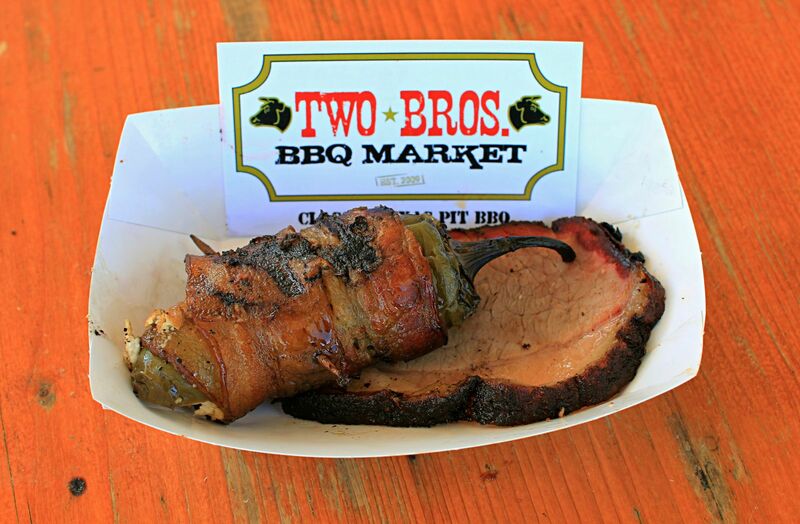 With twenty five of the 2013 top 50, the event is like an epic Texas barbecue road trip in a single day. 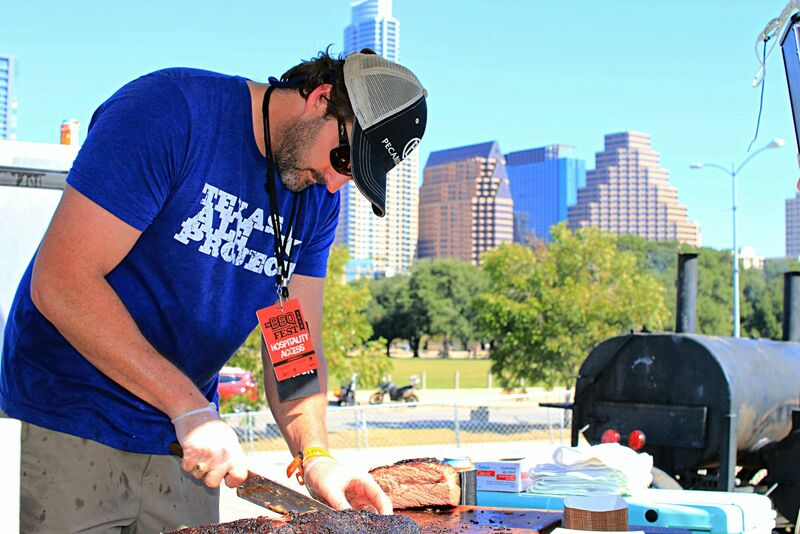 In the recent tradition of barbecue festivals pit masters continue to push the boundaries of Texas barbecue. 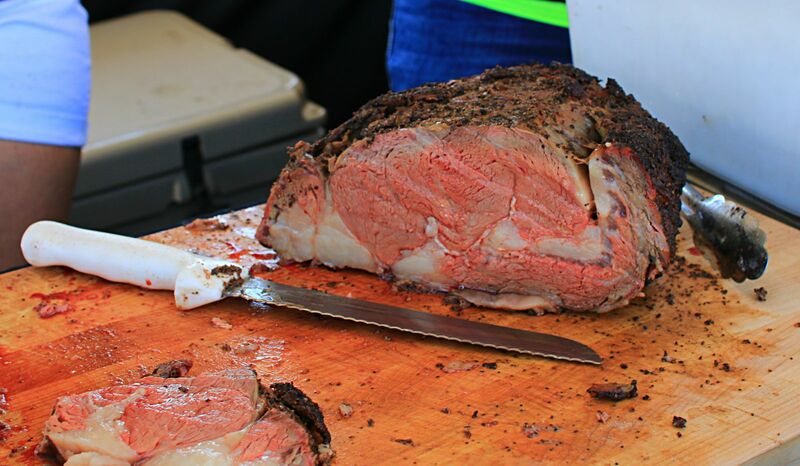 While not new, pork belly and prime rib have been popping up on more menus as of late. 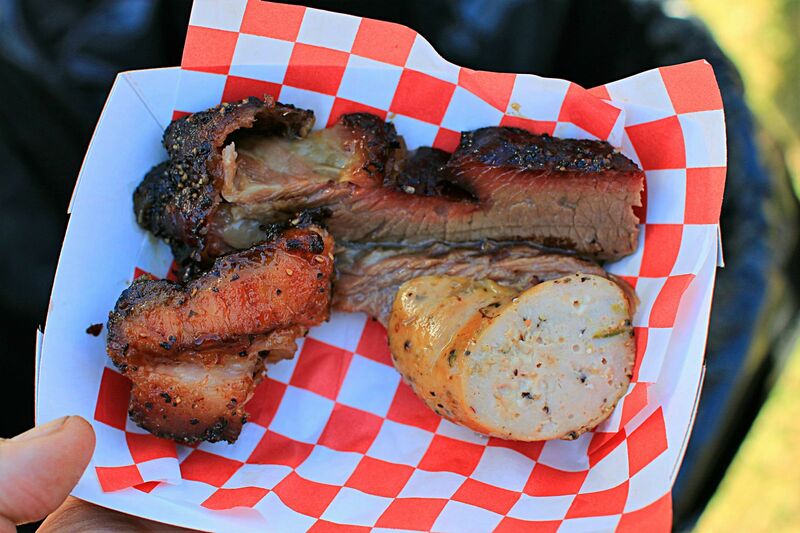 These items were represented well including tasty pork belly burnt ends from Killen’s Barbecue. 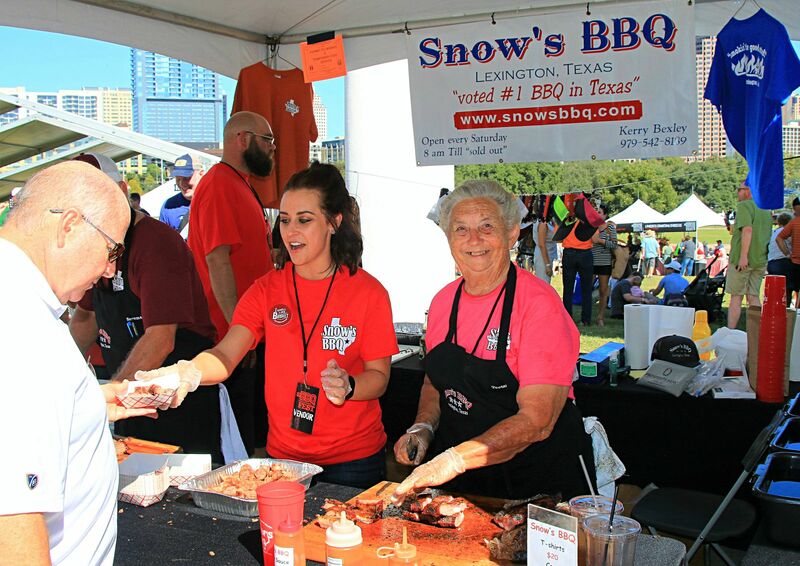 Pulled pork continues to grow as a Texas barbecue option and multiple booths were serving it up alongside the more common brisket, sausage, and/or ribs. 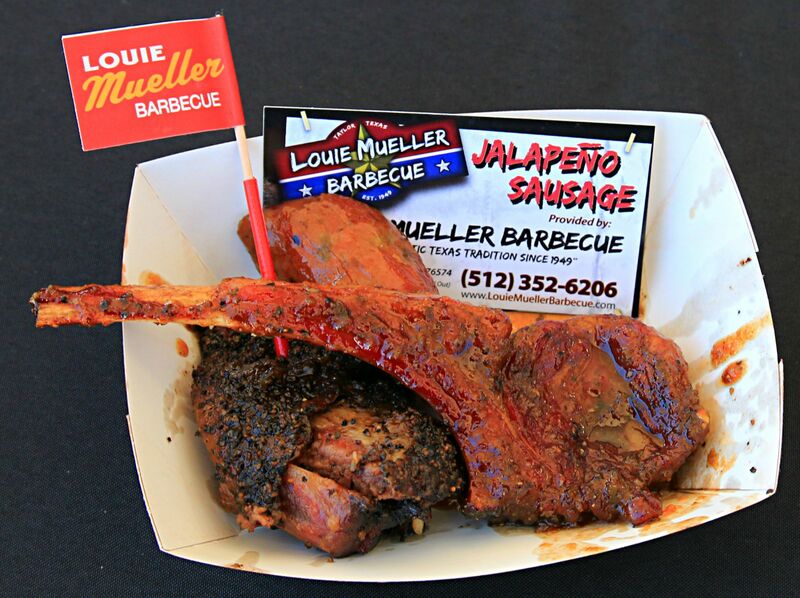 Louie Mueller returned with flavorful lamb chops that they’ve been dispensing over the last couple of years in addition to their stable of beef ribs and sausage. 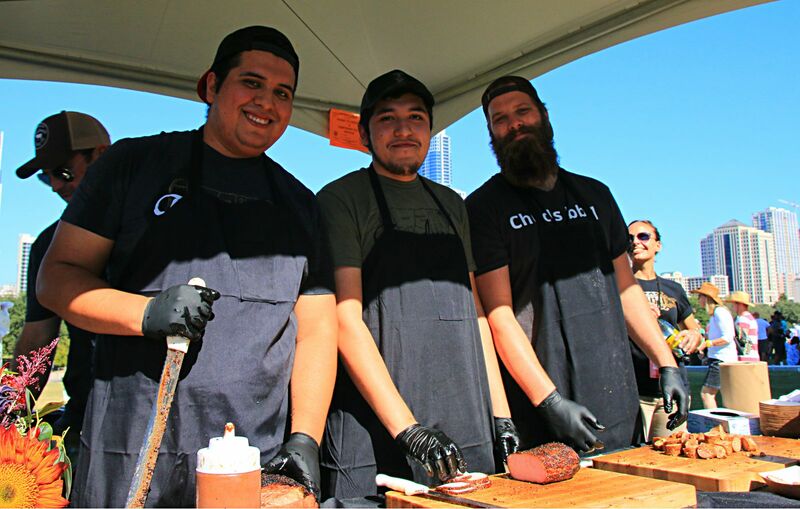 Black’s Barbecue has been serving up smoked chicken and fresh waffles alongside their brisket this year at other festivals and continued at TMBBQ. 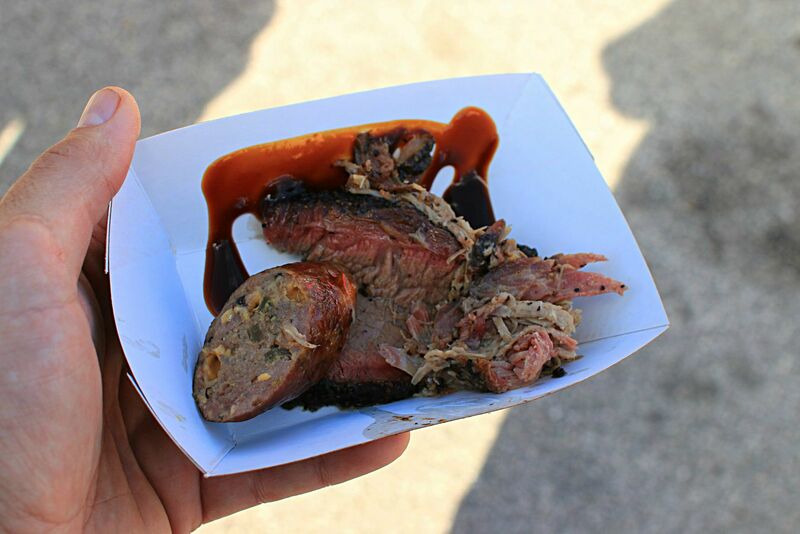 Two more unusual items (for Texas) were available at the TMBBQ 2016 festival; honey glazed smoked duck and smoked chicken with Alabama white sauce. 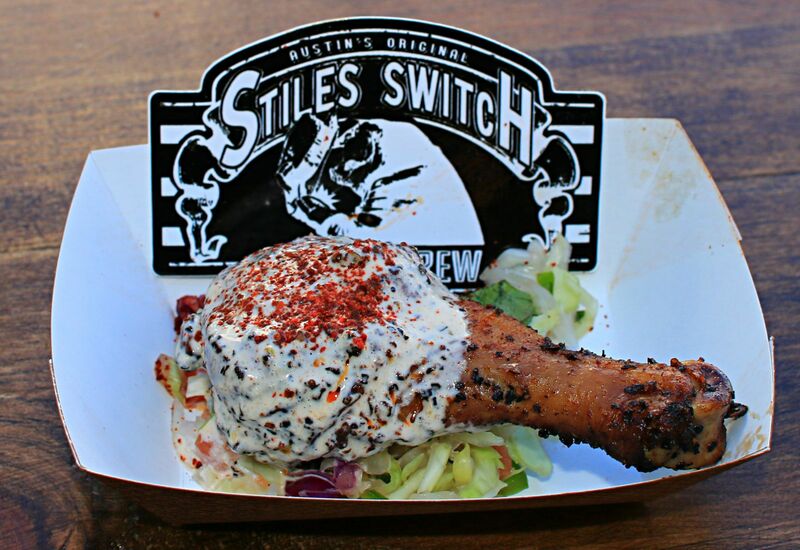 The duck was served by The Beast and the chicken by Stiles Switch. 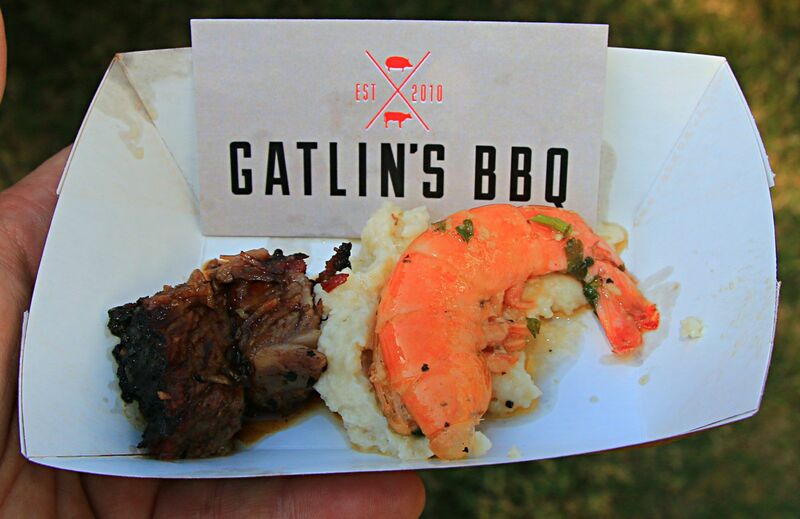 Other bites included jalapeno, cheese, and chocolate sausage by Hays County, shrimp and grits by Gatlin’s, smoked salmon by Gatlin’s (which unfortunately I missed), cubano sausage by Freedmen’s, pork loin by Miller’s Smokehouse, and dry aged brisket by Killen’s. 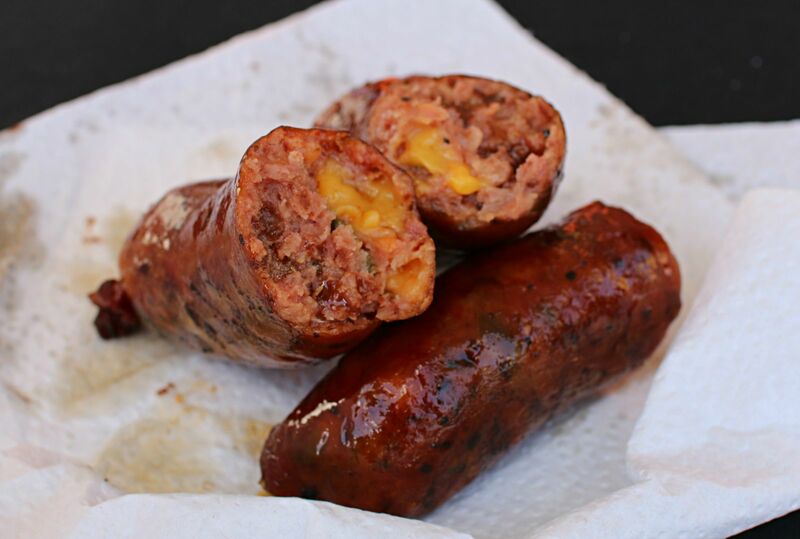 Aaron Franklin and crew served up house made jalapeno cheese sausage, which I am hoping will become a regular menu item. 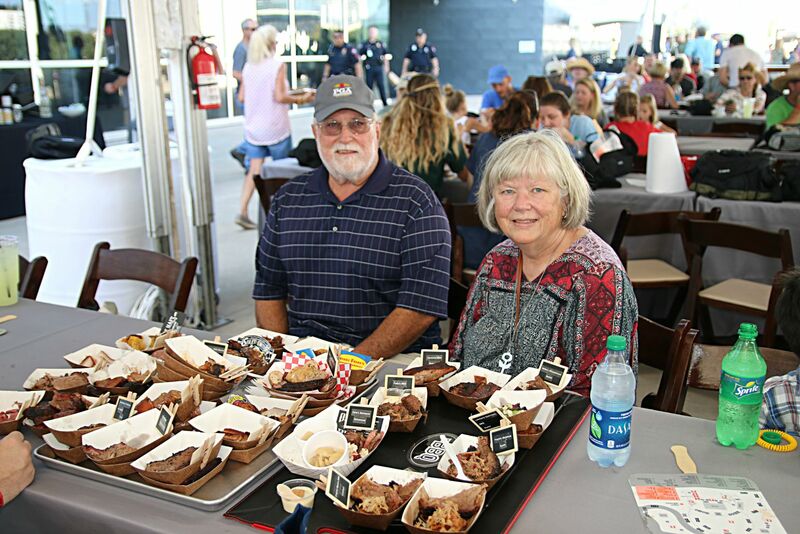 Savory side dishes included the always great butter beans from Opie’s, cornbread pudding from Evie Mae’s, jalapeno hominy from Pody’s, ice cream from HEB, treats from Fluff Bake Bar, and popsicles from Steel City Pops. All of the samples of side dishes I had were great. 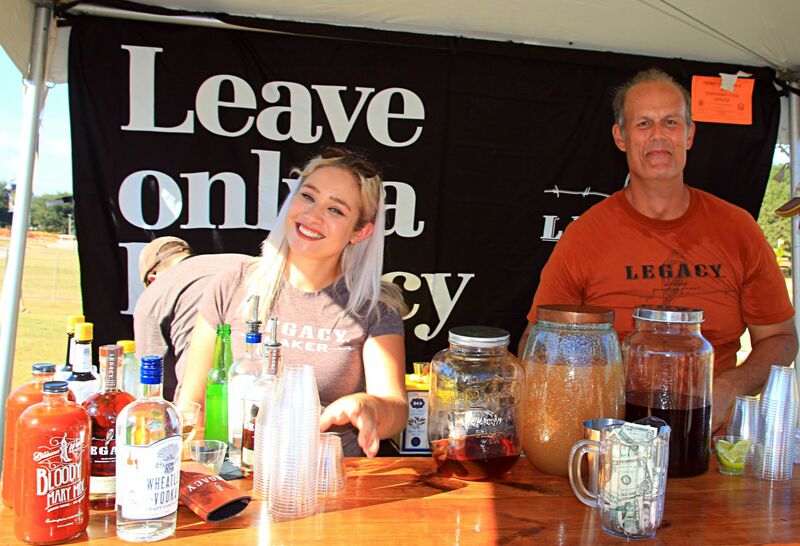 I couldn’t eat at all twenty seven booths but I hit twenty two of them, sides, whiskey, and the new Thunderbird adult beverage. 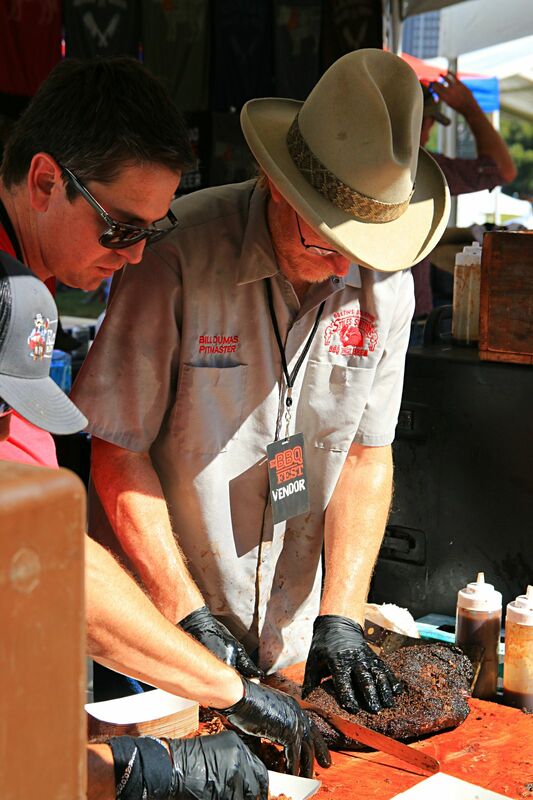 I don’t think I’ll be able to make the Southern Smoke event just around the corner but am planning on attending the second HOUBBQ throwdown which should wrap up my 2016 festival calendar. 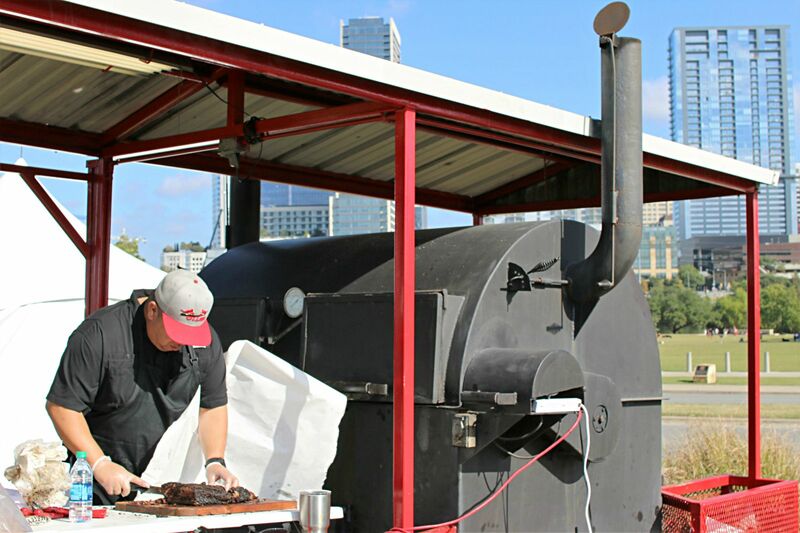 This event is specifically focused on stretching the boundaries of Houston Barbecue and will be a great time. 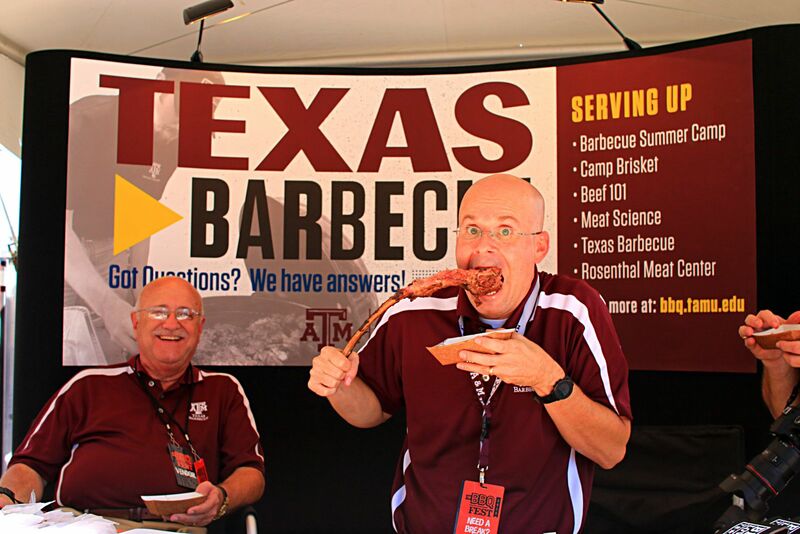 Yeti also had a booth with a chance to win free swag, Nationwide insurance had a dunking booth, and the Texas A&M meat science department was on hand as well. 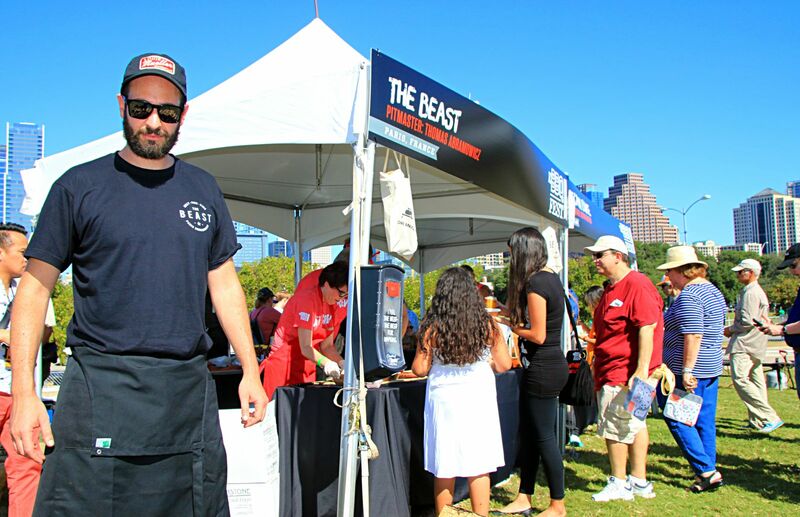 Tags: barbecue fest, BBQ Fest, TMBBQ.